Since 1998 Bonnie Illies has been helping animals–domesticated, wildlife, and even dairy cows. 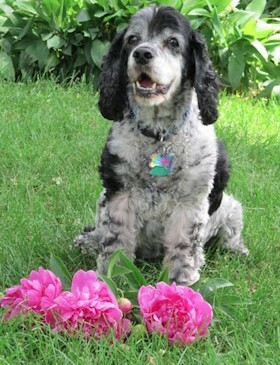 She specializes in helping animals with physical and emotional concerns. 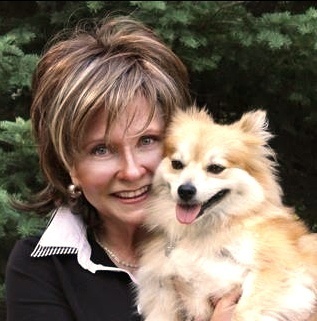 Bonnie’s clients appreciate her ability as an Intuitive to be able to “see” what is at the root of their animal’s concern, and as a Healer to help their animal heal from a variety of emotional and physical ailments. There is a difference between being told that your animal friend is experiencing an upset stomach, and Bonnie doing a body scan to “see” what is causing this symptom. This is important because often the symptom is just that–a symptom (upset stomach), but it is not the cause or the root of the problem. Bonnie’s clients see her work as a Medical Intuitive, likening her to the well-known medical intuitive, Carolyn Myss. Other clients say she is like Dr. Phil–“tells it like it is”. Either way, repeated clients, including veterinarians and medical doctors, can verify her 99% success rate in helping their animal companions with health and emotional concerns. Bonnie understands that working with a healer may be new to you and welcomes you to call with any questions you may have about the process or if you would like her to speak to your group. Since 1998 I have had the privilege of helping animals obtain healthier and happier lives. This is my work, my passion. And when I say that this is my work, I mean that—this is my vocation, my full-time work. This is work that I am dedicated to and take seriously. Animals are often misread or misdiagnosed. It is painful for me to hear of the many conditions animals are experiencing, not only in regards to their ailment but also the treatment. I know there is another way. There is an alternative. I believe animals deserve to be heard and understood, to know their “whole story”. As an Animal Intuitive, I try to identify the root cause of the physical symptom or behavioral concern. As an Animal Healer, I am able to help your companion heal from emotional or physical ailments through energy healing and diet. I have heard from hundreds and hundreds of clients about how my work has helped their animals. In fact, 99 out of 100 clients have said that their animal friends improved or fully recovered from this work when other treatments were stressful or painful, not effective, or developed complications due to side affects. Working with a healer may be new to you. The world has always known healers although this alternative has been overshadowed by modern day medicine. We often question the validity of something different, as did some of my clients initially. I understand. These clients, along with veterinarians and medical doctors, can attest that “this works”. I welcome you to call if you have questions about the process of if you are interested in having me speak to your group. My hope is that all animals are healthy and happy. If a time comes when you are concerned about your animal, I encourage you to consider providing your animal with this opportunity– to heal in a safe and natural way.